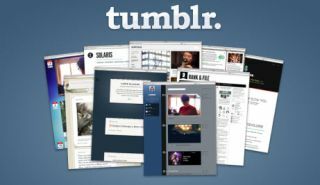 Good news for Tumblr users! Now you can check each other's privilege in private too, as the blogging-platform-slash-social-network has rolled out an instant messaging feature to some users. Just like texting or Facebook Messenger, but for the people you secretly write fanfiction with, Tumblr Messaging will be rolled out initially to 1500 users. What's interesting though is how it plans to roll it out further: you'll only be able to use IM if someone sends you a message, which will activate the system on your account. The company says that it'll take a few weeks to reach everyone so that servers aren't overwhelmed instantly. You'll know if you have it because you'll see a bouncing speech bubble with a face in it on the screen. At the moment, private blogs and group blogs won't be getting the new feature, but everyone else eventually will be. By default, anyone will be able to exchange messages with anyone else - though if you only want to exchange messages with your friends, you can make the switch in your blog settings. The decision to build a fully-fledged instant messaging system (in place of a rubbish private message system) is an interesting one and follows the lead of other platforms. In the last year or so, Twitter, Instagram, Vine and a tonne of other apps have done similar, presumably thinking that if they can capture IM traffic it means more time spent on their respective platforms, rather than on WhatsApp, Google Hangouts or Apple iMessage.